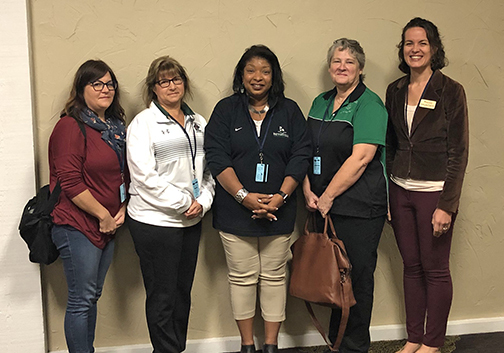 Several representatives from the Pattonville School District shared their expertise with school board members across the state at the annual Missouri School Boards Association (MSBA) conference held in conjunction with the Missouri Association of School Administrators (MASA). 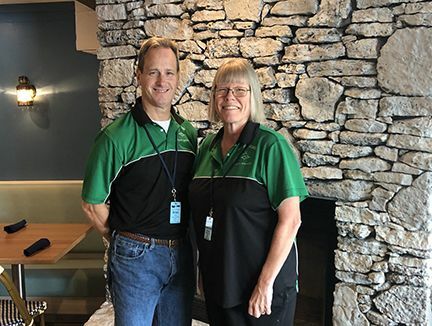 The Pattonville Board of Education was invited to present at MSBA after earning the Missouri Outstanding Board Award in the category of climate, culture and organizational efficacy. Board president Jeanne Schottmueller, board treasurer Mary Kay Campbell and board director Dr. Amanda Lienau Purnell lead a workshop on how the board supports a district culture of high expectations and a positive learning environment that contributes to student success. 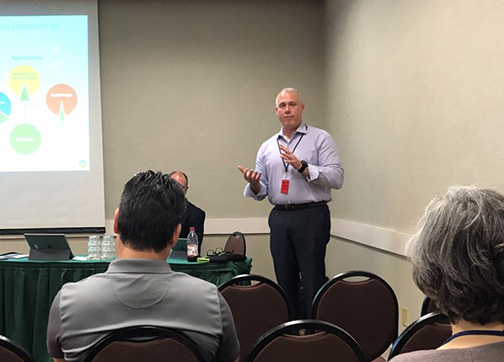 A presentation on community engagement and school improvement was given by Schottmueller, Pattonville superintendent Dr. Tim Pecoraro, Pattonville High School senior Will Polster and assistant superintendent for human resources Dr. Barry Nelson. The team shared how more than 250 community members, parents, students and staff came together to update the district’s strategic plan and provided ideas on how boards could engage the entire community to make the school improvement process more meaningful. Ron Orr, Pattonville’s chief financial officer, co-presented a session titled “Turning Over Rocks to Find Money.” Orr joined Paul Harrell, a board member from the North Kansas 74 School District, and Ryan Terry, business development manager at Navitas, for a roundtable discussion on finding savings and solving facilities and maintenance challenges through improved energy efficiency. Dr. Matt Goodman, lead researcher for Pattonville, presented a session on the Missouri Assessment Partnership (MOAP). In November 2017, a group of Missouri school districts formed the partnership to work together to improve assessment practices. Since then, more than 50 districts have agreed to work together to conduct fieldwork and inquiry and become an independent voice to provide an informed response on student learning. Above and below, Pattonville board members attended and presented at the MSBA conference. 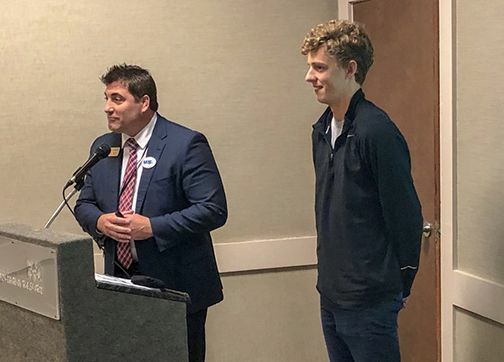 Superintendent Dr. Tim Pecoraro and Pattonville High School senior Will Polster present a workshop on community engagement and strategic planning. Chief financial officer Ron Orr presents a session on finding financial savings through energy efficient upgrades to facilities.